No matter what kind of server we support Dedicated,Colocation or Virtual Server. No matter which Service Plan you choose Hourly Monthly or Annually. What matters is that with our support your server works as you require. HostHoney offers a wide range of Technical Support options for servers, which differ from each other, but deliver equally excellent results - they work as well, as you want them to. Our Popular Plans--Want To Make Your Server Happy? Contact Us And We Will Help You To Do It Efficiently. 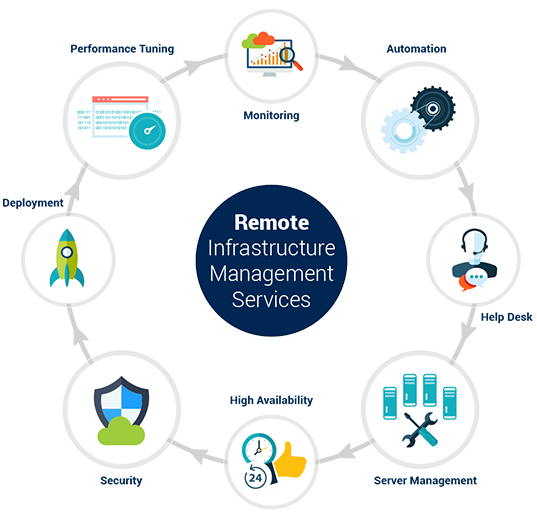 It's a perfect solution for those customers who manage their servers by themselves, but from time to time face challenges which they need support with to overcome. If you are stuck in an apparently un-resolvable problem - no need to worry! You can't know it all, and can't do it all yourself. Contact HostHoney. Whatever your problem is, there are experts among our staff who have probably seen it before. They will be happy to be of assistance to you. With our Hourly Server Management Plan you can concentrate on your professional goals. If you're not going to manage your own servers, or server, the best idea is to choose one of the Server Management Subscription Plans. All Subscription Packages provide support from a strong team of L1, L2, and L3 engineers / system architects 24 hours a day, seven days a week, including weekends and holidays. WHAT DO WE DO FOR MORE EFFICIENT SERVER MANAGEMENT? We keep our finger on the pulse of your servers — our proactive 24/7 monitoring helps us detect any deviation from the norm. The monitoring system is a HostHoney unique in-house development that allows to avoid false alarm responses. The servers are monitored 24 hours a day, 365 days a year at five-minute intervals. If the problem is not resolved within 10 minutes after the alarm, the server will send a message to the owners to alert them of the problem. We ensure the safety of your servers — we carefully set the security in the beginning and conduct periodic audits. Upon customer's request we conduct specialized security audits. We keep your servers tuned up — we regularly update the OS and installed software. We help you get more from your servers — we optimize them for maximum productivity. We know your servers' strengths and weaknesses — we analyze their performance and conduct stress tests. We provide server owners with consulting services on a wide range of issues related to their servers' performance. We thoroughly analyze the market to provide our customers with the most efficient products and technologies.